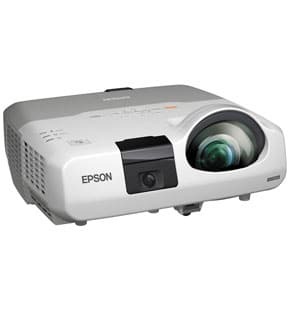 The projectors bring all kinds of sights and sounds into the classroom, offering a visual delight for practically any device one can connect. The students can connect a laptop to a projector in order to give a PowerPoint book report. The teachers can wirelessly connect state of the art calculators and a projector to work through the complex calculations as a team. The Elets News Network offers an insight. 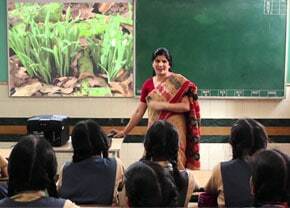 The classrooms have fundamentally changed since the projectors became interactive. 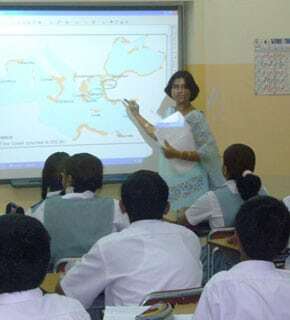 A conventional “smart” board, equipped with a projector, is different from an interactive projector. The former has helped improve ability of the students to learn and imagine in a way, not known or anticipated. However, the latter is a huge improvement over the former. The digital tools have long replaced the traditional tools of learning and teaching. The multimedia experiences have exponential possibilities to broaden the perspectives whether at home or in the office. A classroom is not a classroom if teaching and learning don’t complement each other. Specifically designed for use in the small and large classrooms, the TI DLP projectors are the latest addition to the long list of digital tools, projecting the images bigger than 100 inches on any surface. 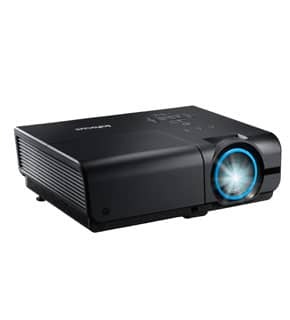 The projectors with DLP technology bring all kinds of sights and sounds into the classroom, offering a visual delight for practically any device one can connect. The students can connect a laptop to a projector in order to give a Power- Point book report. The teachers can wirelessly connect state of the art calculators to a projector to work through the complex calculations as a team. A visual tour of the historical events through the internet fires one’s imagination. Equipped with DLP technology, the classroom projectors are fast becoming the must-have learning tools to help increase retention, maintain interest and improve the learning experience. The books are perhaps the most valuable resources available to help the students learn and grow. The library provides the students enough space to explore everything offered by the books. Adding a DLP projector to the library provides a key tool for the librarians to share the value that reading can provide. With a DLP projector, the librarians and other educators can surf the internet with a group of students to explore the books online. The topics can be researched and new book sources can be instantly discovered together. The students are curious about everything. Sharing information on a big screen with a group, the educators can satisfy their curiosity and enhance the learning experience. Sporting events, musical programs, assemblies and other school gatherings will never be the same after a multimedia projector is added to the event. The DLP projectors can add a new dimension to any large event. Consider a musical program which incorporates visual images to complement the live performance. DLP projectors can add video support for sporting events much like a giant “jumbotron” without the high price. School assemblies can include video, sound and presentation slides to add impact to content of the event. DLP projectors can encourage interaction at school pep rallies. The students can produce the videos reflecting their spirit. Educational videos can help communicate key issues to the students and the parents at large gatherings. Teaching has become a more mobile profession. The teachers at every level find themselves presenting information to a diverse group of people both in the classroom and on the road. Portable projectors with DLP technology are key tools that help make those presentations successful. Portable projectors offer a means to present information to any size of group with video and sound. Impact of a projector is so big in many ways but the projector cannot become a barrier to success. They must be bright, portable, easy to set up and use for any environment. The flexible DLP technology enables a compact design coupled with brightness and image quality. Lightweight and easy to take on the road, some portable projectors with DLP technology weigh less than 1 pound! Looking for a hand-held projector? DLP Pico technology is the perfect solution. Today, the educators face a new challenge – holding the attention of technically savvy students, who live in a media-on-demand, high definition world. Choosing an education projector with DLP technology brings lessons to life with precise color, superb readability, and long-lasting image quality. The alldigital DLP chip offers high reliability, enabling teachers to do what they do best – inspire their students to learn. The latest DLP chipset is smart enough to transmit from any popular device including a computer. Since 2009, the DLP brands have been shipping 3D projectors in almost all of their product lines offering many options and supporting various popular resolutions. Discover the teaching advantages of 3D in the classroom – engage students and improve test scores. Make your classroom projector smart… choose DLP SmartSource 3D and prepare for the next trend in teaching. The DLP projectors make lessons exceptionally easy to read – even from the back row – due to its high fill factor of up to 96 % and high native contrast ratio. The color quality looks like real life. BrilliantColor technology, available in many projectors with DLP technology, offers multi-colour processing creating rich and vibrant colors. BrilliantColor technology improves efficiencies in the illumination optics and provides a wider colour gamut, capable of creating over one billion color shades. When you purchase a projector or any other piece of equipment, it all crashes down to the lifetime cost of ownership. In addition to looking at the initial price, you have to factor in the maintenance costs – like filter cleanings and replacements – and how long the projector will last. Depending upon the particular circumstance, the projectors with DLP technology can offer low maintenance costs, which will save your money. Main difference between the Interactive Projector systems and the conventional “smart” boards lies with the board. With an Interactive Projector system (like Epson Brightlink and SMART Lightraise), the actual writing surface is the wall (or whatever surface is projected upon). The Interactive Projectors replace the actual board with electronic pens or styluses that send wireless signals to the projector. The projector, in turn, receives and sends those signals to the computer, usually via USB cable. Actually removing another piece of hardware – the physical “board” from the mix has several advantages. First, the ability to remove a piece of hardware, especially one as significant as a touch-sensitive electronic whiteboard, while maintaining the same functionality, is always a good thing. Taking the actual board out of the picture eliminates concerns about the board-PC connectivity, orienting, dead spots, etc. It also eliminates the requirement to find a suitable place for, and mount the physical board. With an Interactive Projector, any firm surface that can be projected upon can be used for the writing surface. In some classrooms, the interactive whiteboards have replaced traditional whiteboards or flipcharts, or the video/ media systems such as a DVD player and a TV combination. Even where the traditional boards are used, the IWB often supplements them by connecting to a school network digital video distribution system. In other cases, the IWBs interact with online shared annotation and drawing environments such as interactive vector based graphical websites. The brief instructional blocks can be recorded for review by the students — they will see the exact presentation that occurred in the classroom with the teacher’s audio input. A visual tour of the historical events through the internet fires one’s imagination. Equipped with DLP technology, the classroom projectors are fast becoming the musthave learning tools to help increase retention, maintain interest and improve the learning experience. This can help transform learning and instruction. Many companies and projects now focus on creating supplemental instructional materials, specifically designed for interactive whiteboards. Electrokite out of Boston, MA, for example, will have the first complete curriculum for schools and districts. One recent use of the IWB is in shared reading lessons. Mimic books, for instance, allow teachers to project children’s books onto the interactive whiteboard with book-like interactivity. Dixons City Academy in the North of England was the first non-college or university learning environment to make use of interactive whiteboards after the school’s then principal Sir John Lewis showed a keen interest in the developing technology. An interactive whiteboard can now be found in every classroom of the school. TI DLP technology can enable the world’s smallest projectors under 8 ounces and light up the largest movie screens up to 100 feet. The engineers have begun medical research to inset DLP technology into the human eye as a retina replacement. There is no stopping where DLP technology will go next!